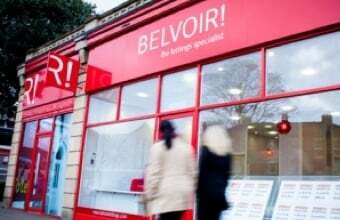 Rental payments recognised in credit reports for the first time | Belvoir! Rental payment information will now on the Experian credit reports of more than 1.2 million tenants from across the UK. Tenants can see their rental payments on Experian’s credit reports as part of the Rental Exchange initiative, developed in partnership with the Big Issue Invest. More than 150 social housing providers, local authorities and letting agents are reporting data into the Rental Exchange. Experian is also working closely with the winners of the HM Treasury Rent Recognition Challenge and other tech firms within the private rented sector to help tenants self-report their data. A petition which called for paying rent to be used as proof people could afford a mortgage gathered nearly 150,000 signatures last year. 79% of tenants would have seen a noticeable improvement in their credit score when lenders take rental data into account. Analysis also shows by adding rental data to credit reports, the proportion of tenants who can prove their identity online increases from 39% to 84%, broadening the range of financial services available to them. Clive Lawson, managing director of Experian Consumer Services, said: “We’re proud Experian is the first Credit Reference Agency to add rental payment data to credit reports, leading the way in helping people understand their financial health. Tenants pay a significant amount of money each month for the roofs over their heads, so it’s right to recognise these regular payments in a similar way as mortgages.